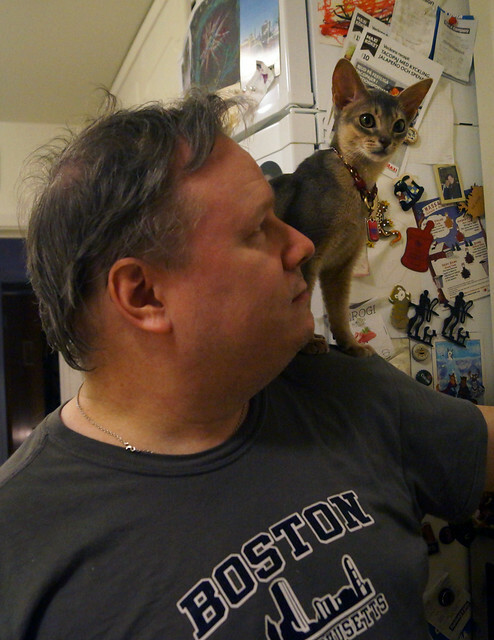 As I have mentioned in previous posts, Lorelai is a confirmed shoulder cat. 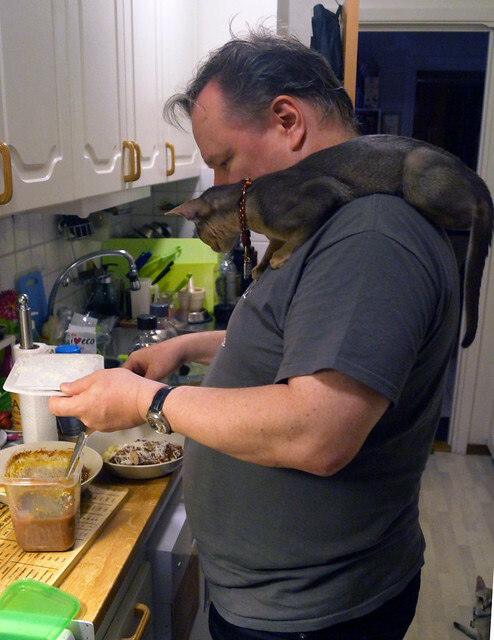 She has also declared herself to be a dedicated sous-chef. 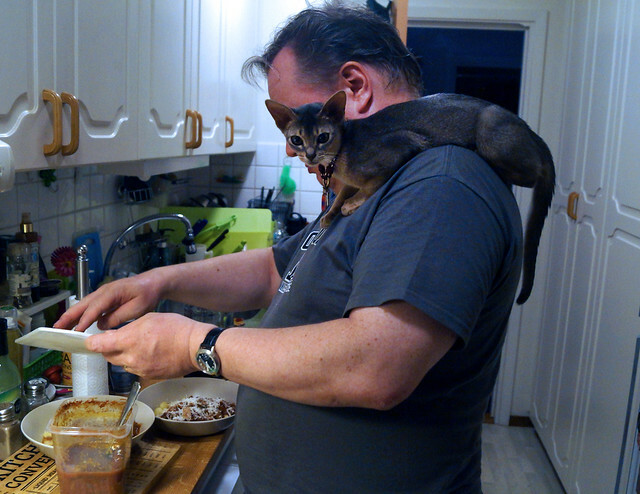 She loves to “help” Björn when he is making our dinner. 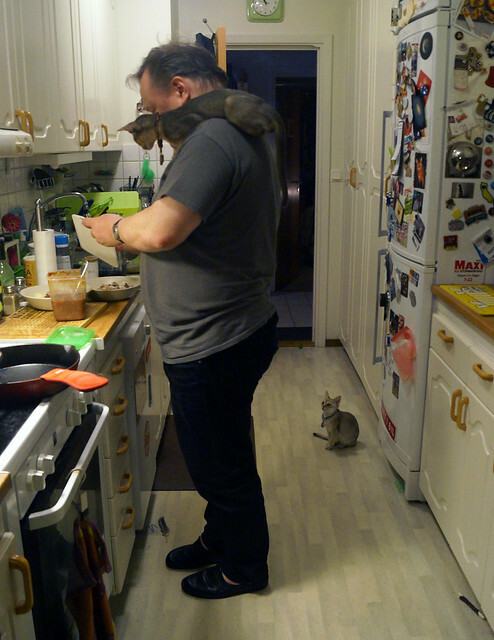 She usually jumps onto his back from the countertop behind him. She’s actually usually pretty good at keeping her paws to herself…I guess it’s harder to balance when you’re trying to swipe food. 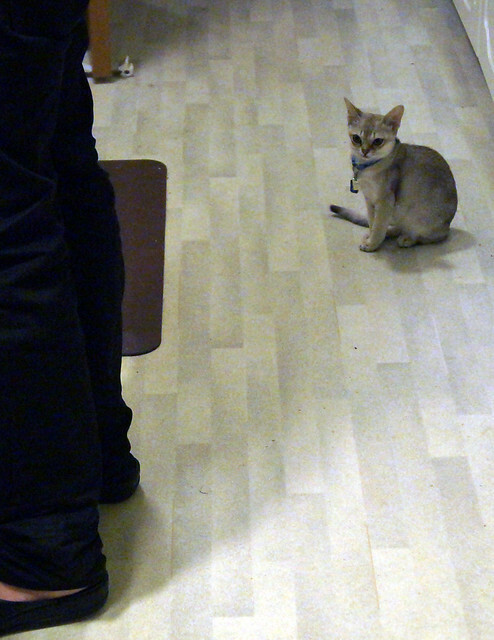 Izaak also likes to “help” in the kitchen. He just prefers to supervise from the ground. 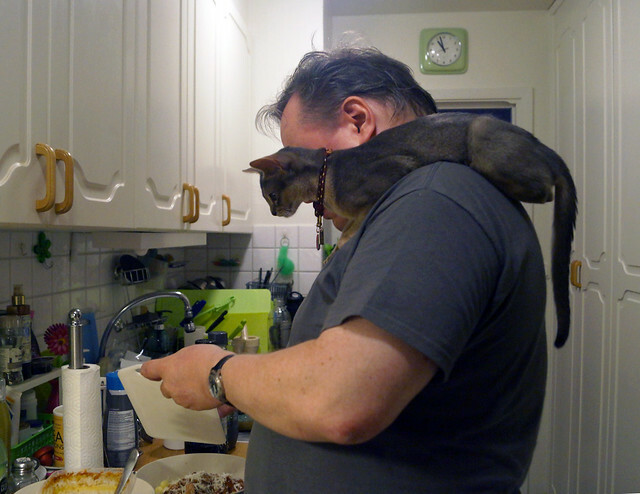 All in all, Rory and Björn make a good cooking team. 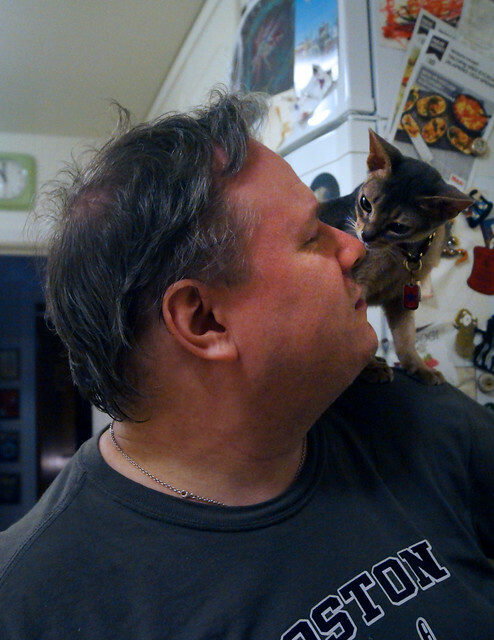 Is that a kiss, or are you seeing if there’s any traces of food on his mouth, Rory?